Starting with Pokémon Ruby and Sapphire, you can adorn your monsters with “Ribbons” for completing certain quests and contests. One person endeavored to put all of the available Ribbons from every game on the worst Pokémon possible, recording his months-long journey in a hilarious Ribbon collecting guide. Mockturne said he started on his quest to get every ribbon for a couple of reasons. Two years ago, he found a backpacker in Pokémon X and Y who was coy about their region of origin. At the time, Mockturne believed the NPC was a part of a secret quest of sorts, that could unlock under the right conditions: specifically, by showing them a Pokémon with Ribbons from Orre, the region that only appears in the two Pokémon games on the Nintendo GameCube. “Since there was no clearly defined path, I thought I’d chronicle it,” he said. Over the course of a few months, he’d played all the then available games, detailing his process in a seven page guide, with an eighth page recently added for the Alola region in Pokémon Sun and Moon. Mockturne decided to try Delibird as his Ribbon Master, which he nicknamed Oswald. What follows in the guide is a single minded, somewhat absurd tale of trying to get every single Ribbon on one Pokémon. Each page of the guide details what Ribbons are available in each game, where to get them, and how to win the contests that you them. It’s worth a read even if you’re not trying to win contests or collects Ribbons. It begins with getting a Ribbon from Pokémon Colosseum or Pokémon XD: Gale of Darkness for purifying a Shadow Pokémon, and goes from there to Pokémon Emerald all the way to Sun and Moon. He teaches you how to game the system for contests that has NPC judges evaluate your Pokémon’s movesets, when and how to level your Ribbon Master, and which judges to avoid In Diamond and Pearl’s Visual Contest. Your mom can judge that contest, and apparently she’s pretty harsh. It’s convoluted, to say the least, and when one of the features of Pokémon Black and White was shut down, Mockturne almost gave up. While he never did discover what Ribbons pay off into, there were a couple of surprises along the way. 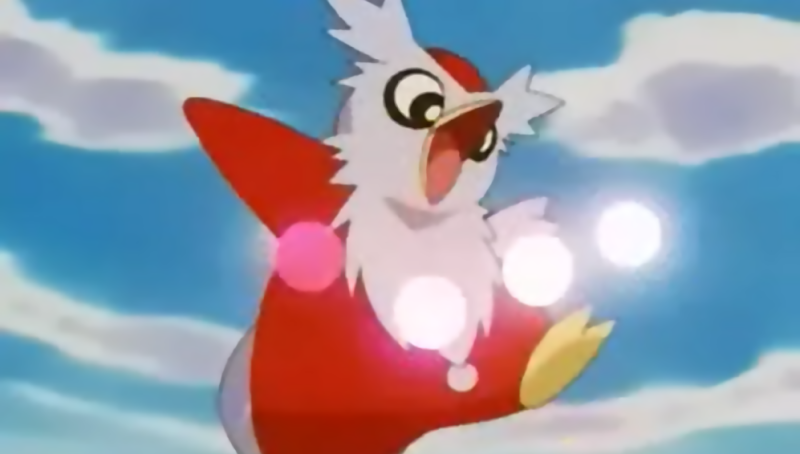 “A big surprise was probably that I became really good at contests; they’d never interested me before but now that I was forced to win every single one, I’ve come to appreciate them.” Mockturne did discover that while Delibird is garbage for battles and competition, it’s relatively good for collecting Ribbons. “The biggest surprise might be how adaptable Delibird is to most of these events or mini-games,” he said. In particular, it was well rounded enough to beat every record in the Stadium for the Pokéathlon in HeartGold and SoulSilver, which are mini-games that test a Pokémon’s stats. While Mockturne’s now collected every single Ribbon available in all Pokémon games, the guide isn’t complete, per se. He says that Oswald the Delibird will return for new games, as more Ribbons come out.